If you love shopping on Amazon.com, you'll be happy to know that the Fund for Assistance to ROCOR is now on Amazon Smile. Now, you can enjoy the same wide selection of products, low prices, and convenience, plus donate 0.5 percent of your purchase to the Fund for Assistance to ROCOR. 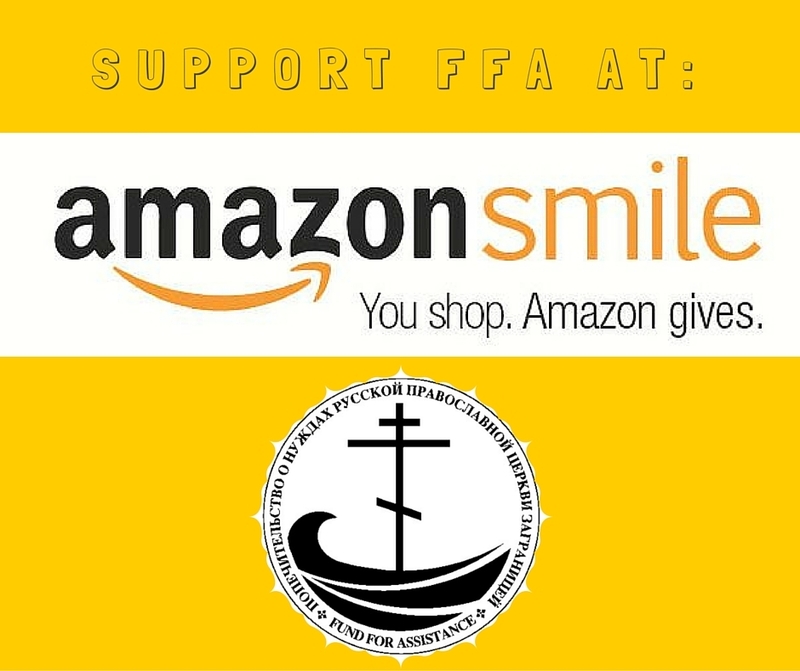 The AmazonSmile Foundation will make the contribution to your designated charity when you shop via AmazonSmile (smile.amazon.com), a website operated by Amazon. On your first visit, you will be prompted to select a charitable organization. Search for Fund for Assistance to the Russian Orthodox Church Outside of Russia. Then, on each subsequent visit, the site will automatically remember this as your organization of choice and continue to donate the percentage of your eligible purchases. Just make sure to shop on smile.amazon.com as opposed to the original website.